Love the humor potential in the concept. Hope he says silly redneck things as you go along, much like how duke nukem would say silly duke things. Looks interesting. Reminds me of Redneck Rampage. Thanks a lot. 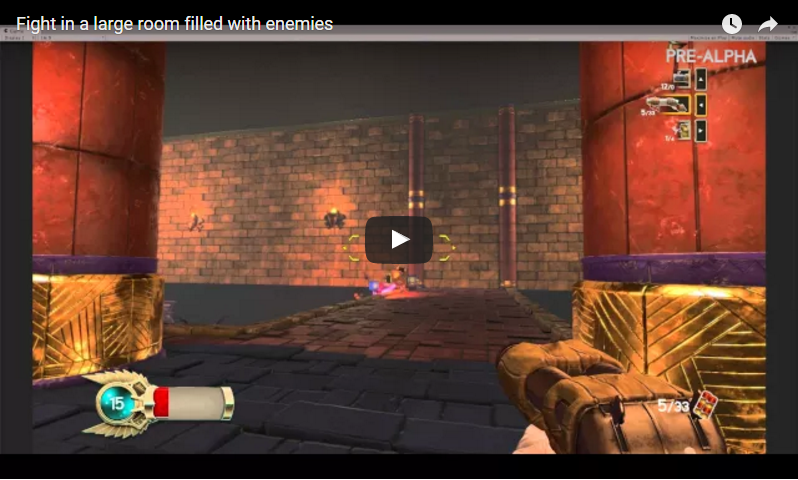 I love how each one of you tell us the game looks like a lot of different games, from Team Fortress 2 to Serious Sam. 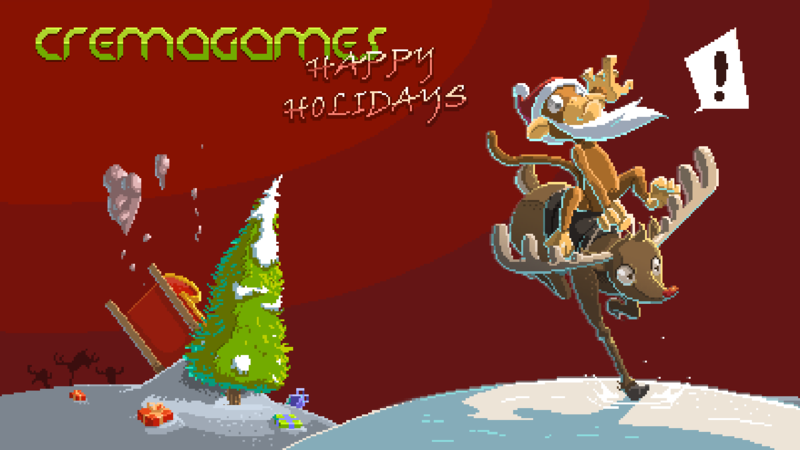 And by the way, Happy Holidays! 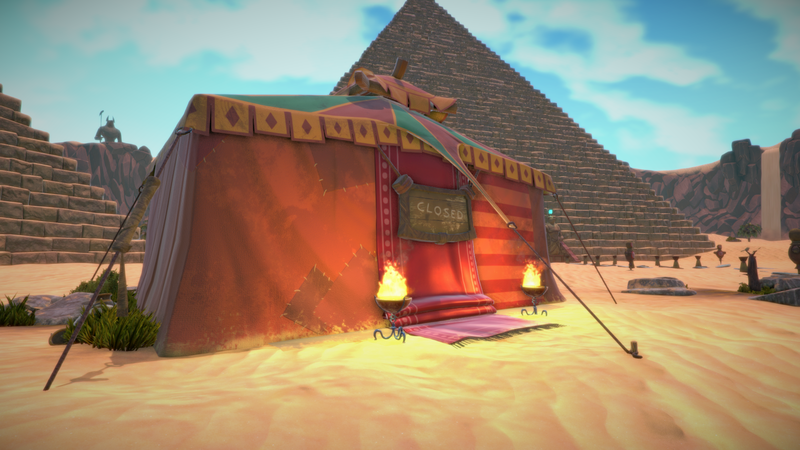 Thankfully, last week we had a devlog that I can share with you. As always, I'll give you the TL;DR version, but if you want to get all the details and a few more screens, you have the official, longform devlog around here. Hey! 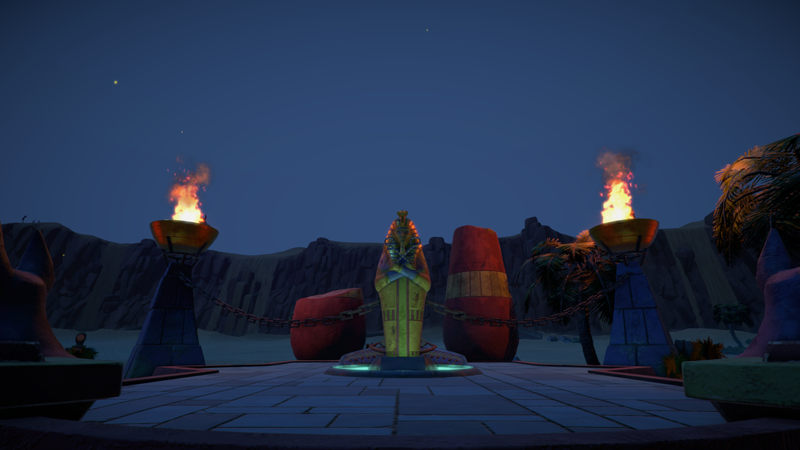 We've been out for a few days – Christmas et al –, but we're back with a devlog. It's about how we build the outdoors of Immortal Redneck. 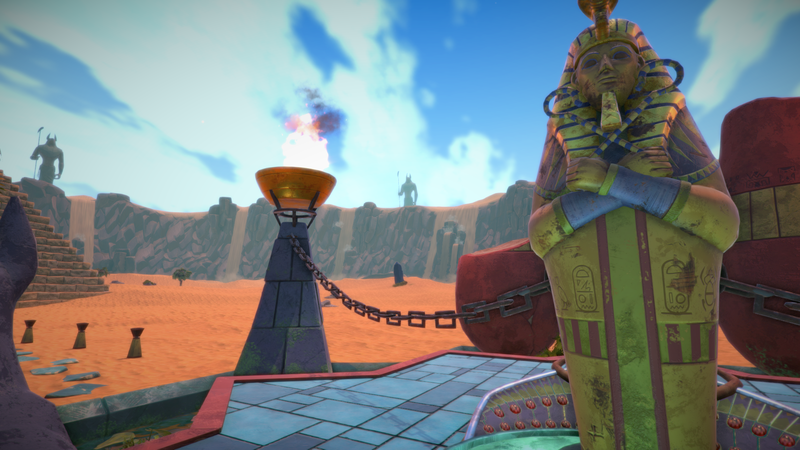 Most stuff in Immortal Redneck takes place inside the pyramids, more precisely, inside one of them at a time. But – there’s always a but –, before getting inside them, you need to prepare really well to survive. You do that in the outdoors, of course. As you might have guessed, there's a few interesting places in here. 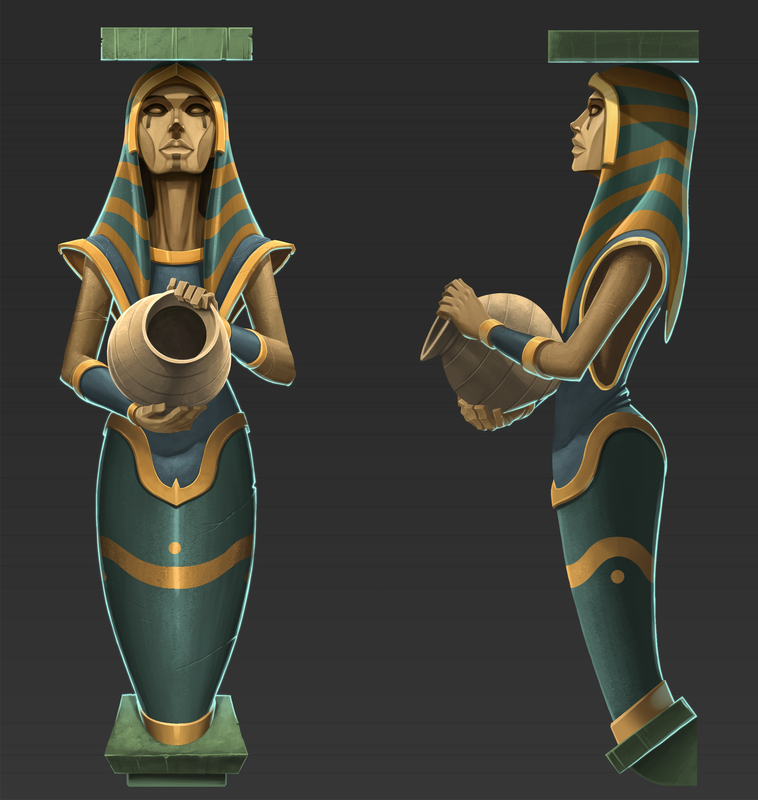 The most obvious one is The Eternal Sarcophagus, the coffin in which your soul always comes back everytime you die in the game. You are linked to it by some unknown magic, so get used to it. You also have the Three Great Pyramids. You'll explore them one at a time. 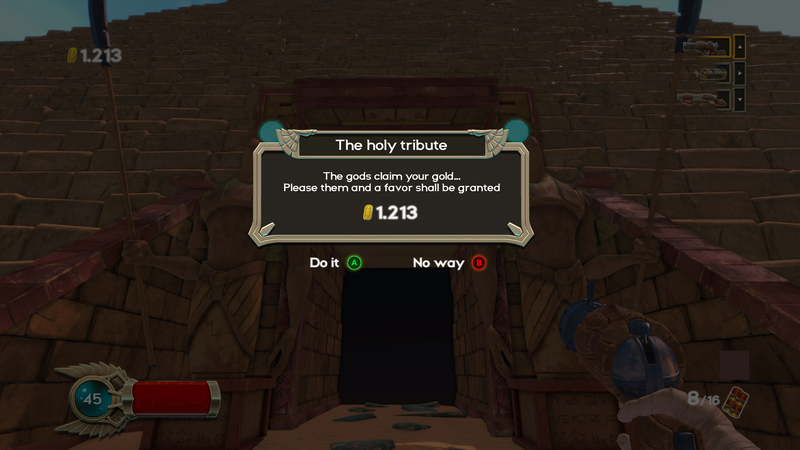 When you start Immortal Redneck, there's only one of them unlocked and you'll have to finish it before being able to open the second one. And the third one opens only if you pass the second one, of course. 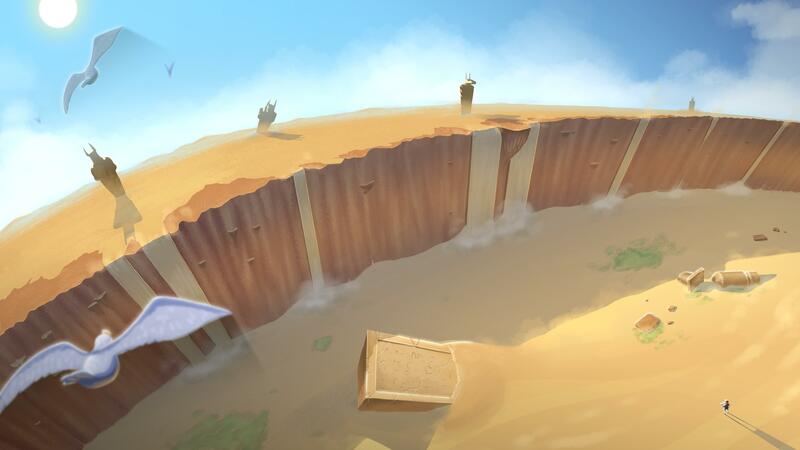 There lot of little details we’ve put around the pyramids. 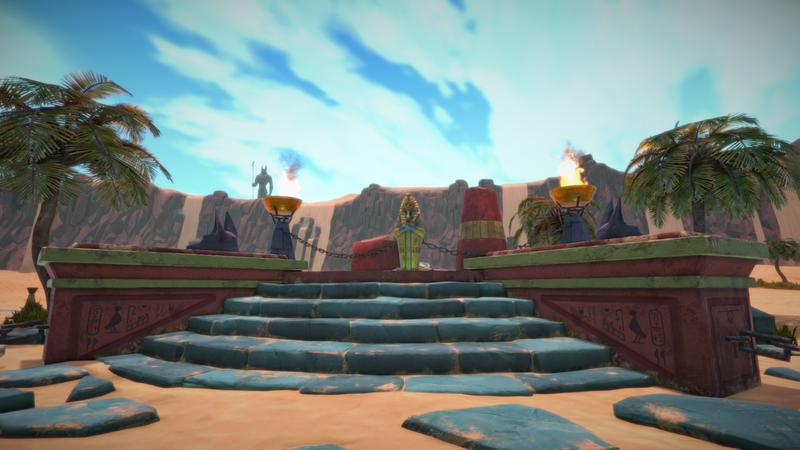 This is the only place in the game that it’s not randomly arranged, so we tried to make it really special and unique. Each one of them is filled with different kinds of enemies, so you'll have to get really good to progress. 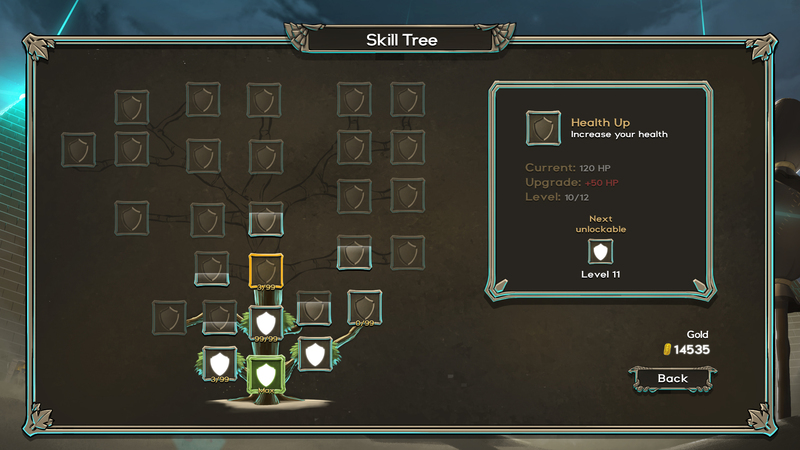 This is quite literal when we take a look at the Tree of Life and Skills, which is a quite literal skill tree. At its roots, you'll offer gold to the gods so you unlock new classes, abilities and get stronger, in general. This is a mockup of how we want the skills and abilities and classes to develop. It’s a little rough at this moment and not finished stuff at all, but we wanted to show a little about it. And last, but not least, there's the Merchant Store. It's close by now because, well, we have yet to finish some aspects about this character. It's also really important, almost as much as the skill tree, because the merchant sells guns and some improvements, too. And that's it by now. We have taken our time with this. We hope that’s noticeable, because we wanted the outdoors to make a good impression as it is the first sight of the game everyone will have. 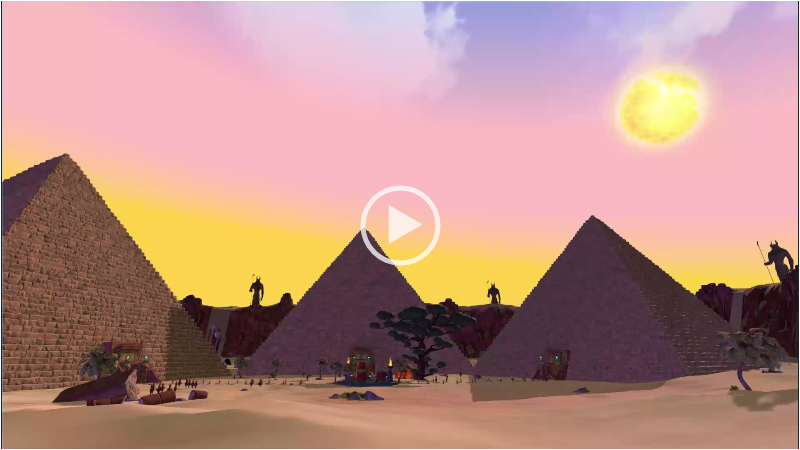 Also, we thought the player would like to have a quiet, peaceful place before getting into the mayhem inside the pyramids. 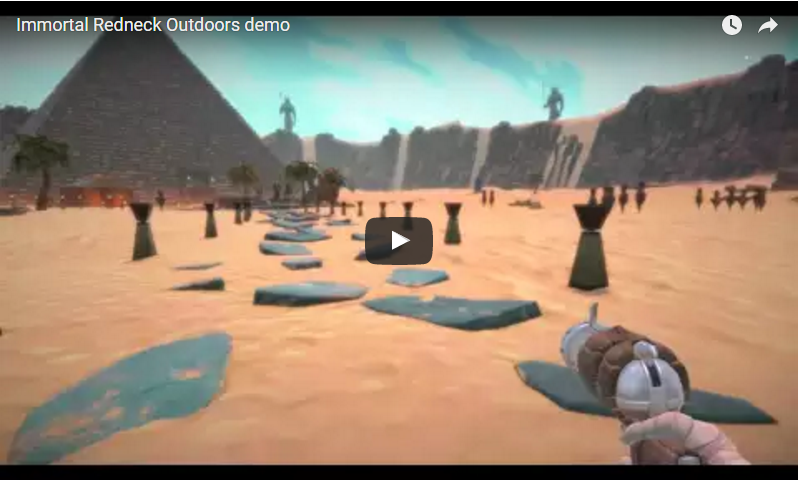 Our game is a hard, crazy, fast paced mystical shooting trip, but its outdoors? It’s the kind of place where you’d go on vacation. That’s what the redneck did before everything went nuts, actually. We have a new devlog! You can read the long version in here or just stick to the short one below. 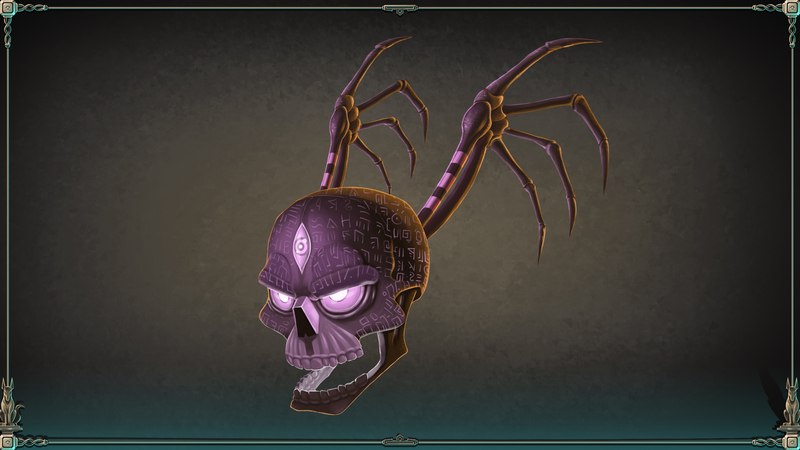 This week, we are revealing two new enemy types: the Skull and the Flying Demon. The names are only temorary, since we still have to think a little more about lore and the creatures names and such stuff. We are pretty sure the skull will be named Manny, for some reason, but you know, not sure yet about it. These two new monster are aerial enemies, so they were a particulary interesting challenge for the team. Even though the Skull was the first monster our designers worked on, we decided to practice with a few terrestrial ones before. 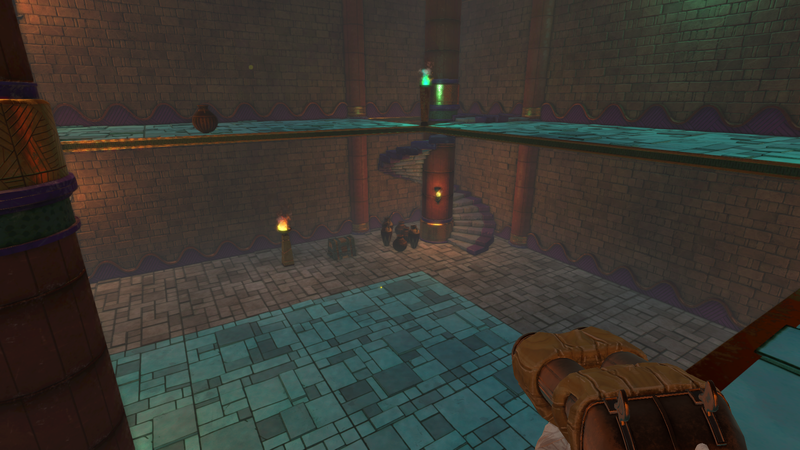 As you can imagine, since our game has two floors, at least, the flying creatures needed a lot more time. Thankfully, we ended up making them work. We have to finish a few details, since sometimes they get stuck in stairs and such, but the main stuff about them is done. 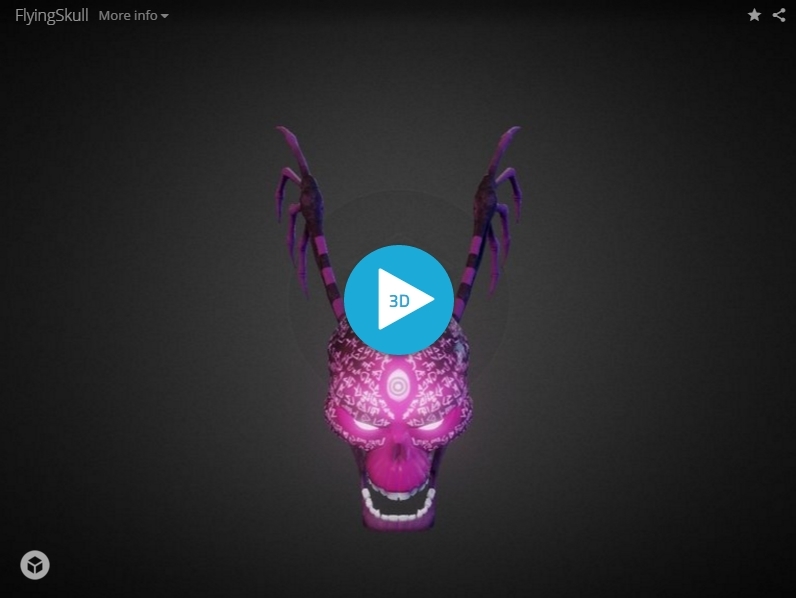 Now, a look at the 3D models. Since I can't embed sketchfab, you will be redirect when you click on the images below. And finally, this is how they look in motion. 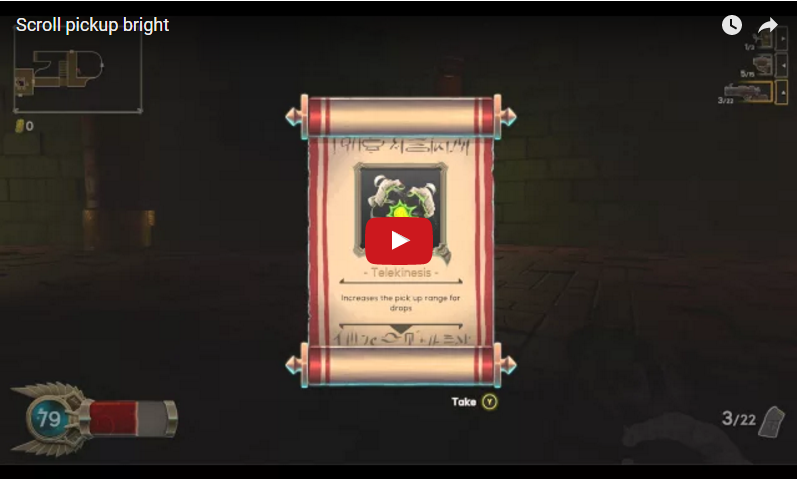 Again, I can't embed the video, but if you click in the image, blah, blah, blah. 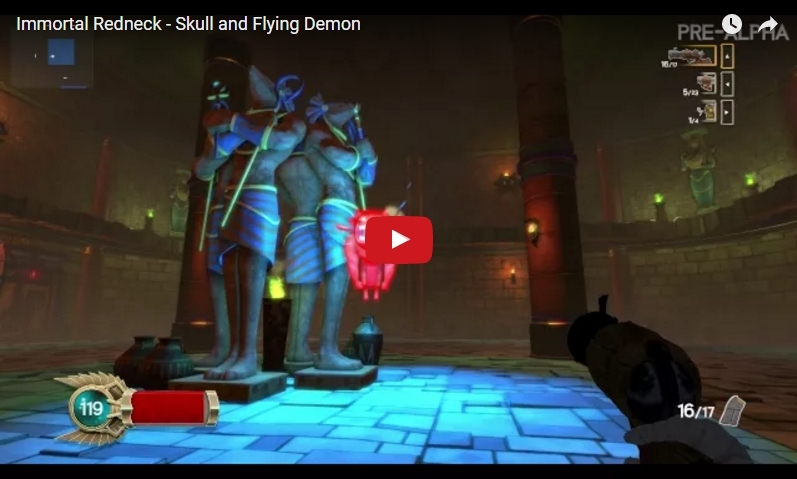 As you can see, the Skull is a flying, melee type while the Demon is a medium distance, ranged and flying creature. We are obsessed with variety and we want our enemies to work in different ways, but also to mix together. These two look good just by themselves, we think, and make you move and work in very particular ways while fighting them. If we added a Warrior, with it's strong, but slow attacks, to the equation, it would be even harder to pass this room. 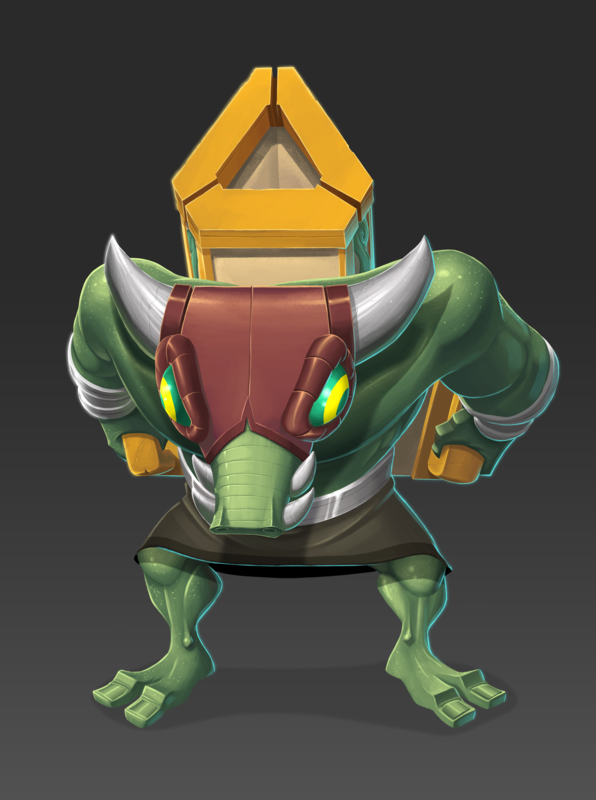 Hope you like their designs, enjoy their 3D models and make us know if you like how the game looks so far. 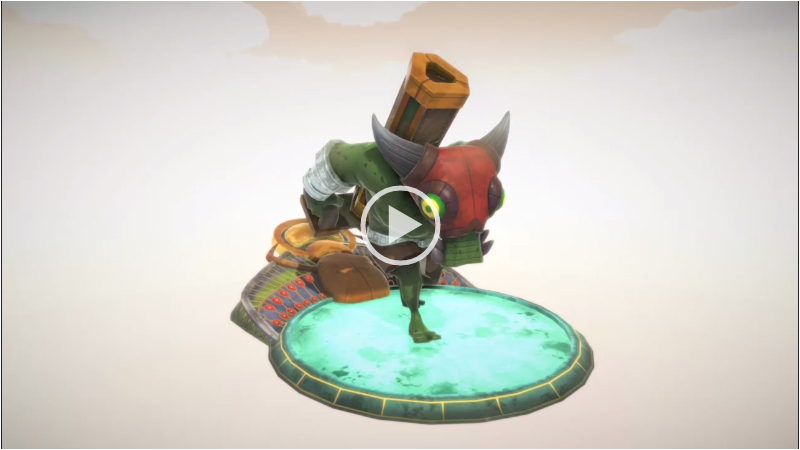 That last video is one of the lastets pre-alpha builds we have in the studio! Came for the funny title, stayed for the awesome art and concept! I really like the atmosphere of your game, it looks really good. I don't know if it's planned to add feedbacks soon but I cannot wait to see animations when enemies are hit and stuff like that (I just played Heavy Bullets, maybe that's why I want to see great effects when enemies are shot). Anyway, I'll follow this thread, keep going! I was also a bit concerned about some of the art direction as well at one point, the concept art looked very stylised but some of the 3D environements had a more realistic feel and some looked hand painted, but now with all the lighting and post processing added its nicely merged together. Honestly I love getting updates from this project, and I cant wait to see what else you will produce later on! Thanks for your comments and your insight, guys! Everyone loves the name, hope no one finds it offensive, haha. Right now, we are working on adding enemies and finishing some more rooms and effects, but as far as we have planned right now, death animations will be simple and most likely shared among the creatures. We chose to make all the enemies we could – we have more than twenty planned. 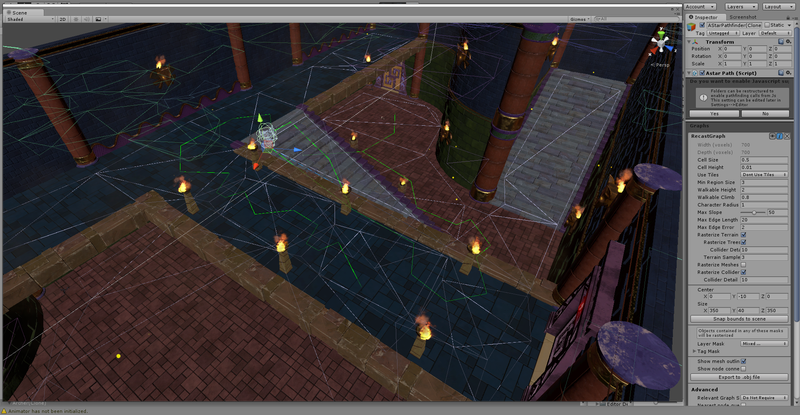 That meant that we had to cut some stuff, like different death animations for each one of them. 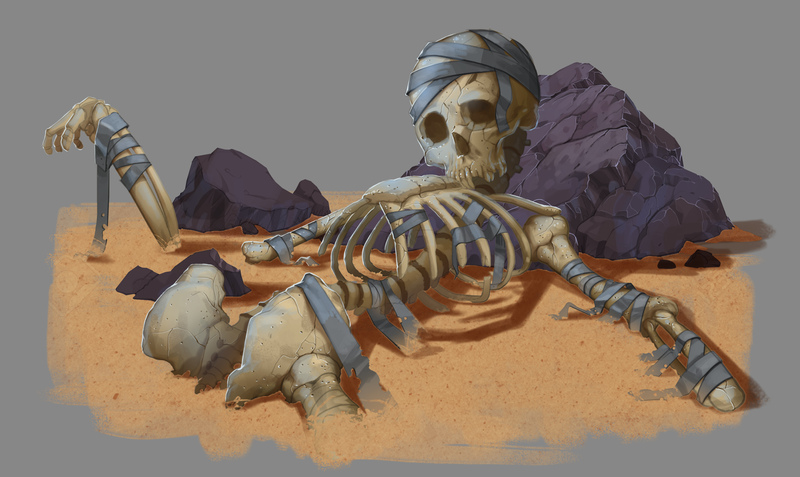 We have a very cool sand shader, so maybe we mix it into the deaths or something like that. We'll see. We don't have an internal sound designer, so that's why there's no sound yet. We are working with a great Spanish sound design studio called Sonotrigger right now to solve this, though. I know the gameplay seems kind of bland without sound effects or music, but that's because we want our partners to take their time with it. I didn't necessarily meant unique death animations, but something a bit more spectacular maybe (explosions, or the enemy shaking hard then dissolving). It has to feel great when you kill an enemy I can't wait to see a more polished version of the game, you're on the good track! Hey there! 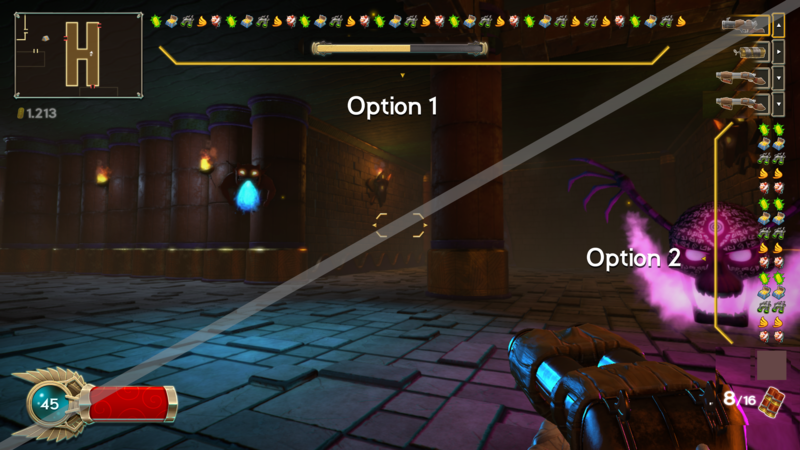 We are trying some options with our abilities bar. 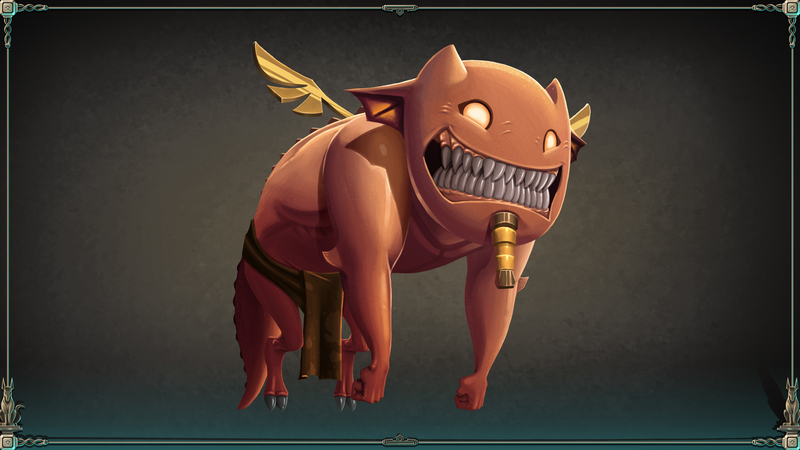 You know, the place where the scrolls icons will appear – think in Nuclear Throne mutations. Wanna help? Option 1? Option 2? Other one? Most people we've asked said we have to make it customizable, so in the end it might end up like that, but still: we have to choose a default option. Hi, friends. This week, I’m writing about how the rooms are built in our game. I won’t go much into technical features or detail, I’d rather show you how different heights integrate in Immortal Redneck and why we chose to build the game around jumping and shooting while moving through some floors. 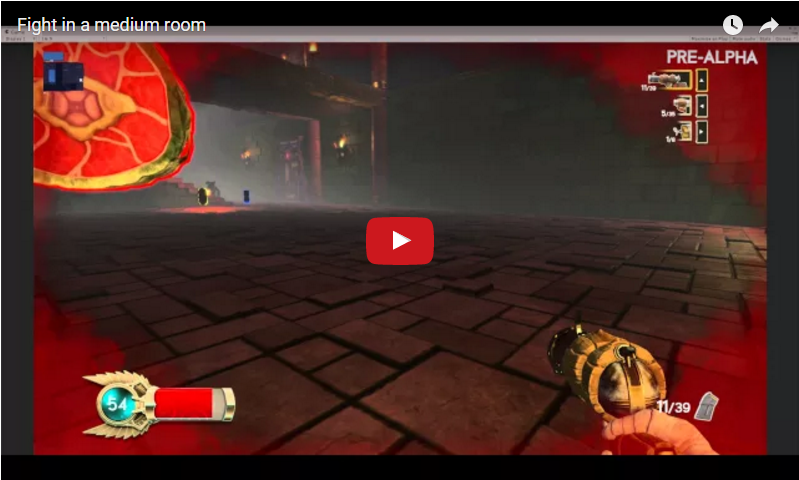 Immortal Redneck has randomly generated floor layouts with rooms that have been designed very intentionally. That’s is, the rooms are our creation, but the position and doors assigned to them are random. That means that even if we don’t know what room is on the other side of a door, we know that is has an intentional design, that its built with some ideas behind. It’s not proceduraly built, but proceduraly placed with others. So we control the design, and that’s why we decided to make rooms with different heights: you can move around the ground, but also jump or go up some stairs to get to the second floor of that same room. We did this, mainly, for three reasons: not many FPS roguelites have this – they mostly have rooms with a ground floor and enemies –, it allowed us to experiment with the redneck’s moving patterns and made the shooting far more interesting. After all, moving and shooting is the most interesting mechanics of Immortal Redneck, so we had to make them both available and interesting. 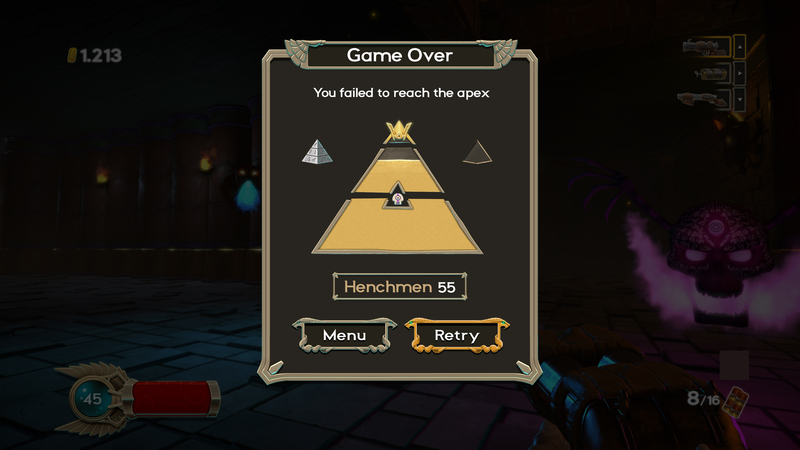 Going around a room dodging enemies, killing them and using the stairs to go to another floor and get away from the danger is a common thing in here. 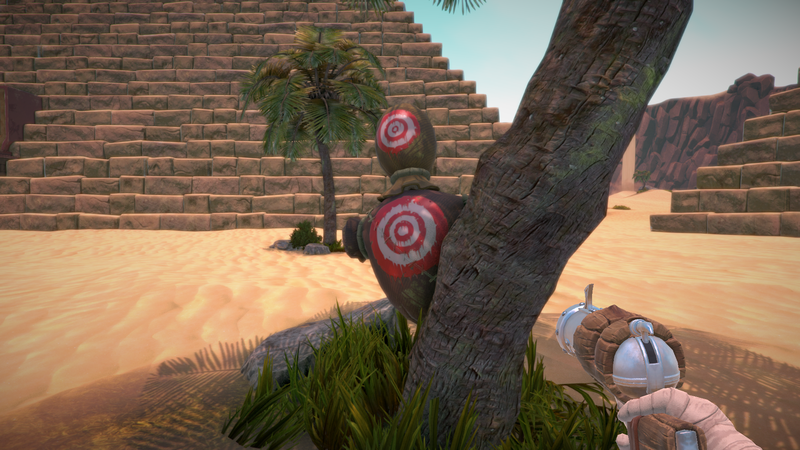 Also, player awareness is increased, because some enemies will attack you from above. The good thing about both layouts is that they work as well when you throw enemies into the equation. Shooting ranged creatures and dodging flying ones that pursue you up and down is great, no matter if the room is 20 or 40 meter tall. Obviously, this bring up some question. How would the enemies follow the player into a different height? How do flying creatures move around those heights? As you can imagine if you have developed a 3D games, the creatures have a navigation mesh that tells them how they must move around. Since our enemies wander when they don’t see you, they can go up and down as they wish, no matter if they are terrestrial or aerial. But the moment they see you, all the creatures will go after you: if it’s terrestrial, the navmesh help them know which is the shorter path, through stairs or jumping down from a higher place; if they fly, they will charge towards you, no matter if you are in another floor or they are. In the end, having two or more heights in Immortal Redneck help make it more complex, in a lot of ways. You need a lot more awareness when you can be attacked from above, when you can run away from a difficult situation by going up some stairs and make the enemies follow you into a more favorable position for you. If we add the abilities and more specialized enemies, this gets better and better. How about an enemy that shoots grenades from above and makes moving into the ground floor really hard? That’s something we have kind of planned and that we have to test, but that’s where we are going from here. It’s not just that the rooms look great and the game seems bigger: having this structure makes playing Immortal Redneck a lot better. And finally, a short video with some gameplay. We have enough stuff into the game to record how we play and show everything we said above. Remember that this is pre-alpha gameplay and we could change tons of stuff prior to launch. Hello! 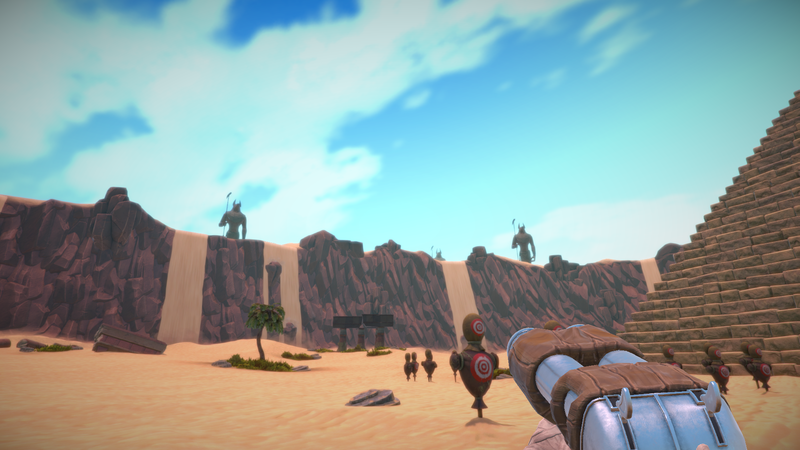 We've written a long devlog about the tools we are using to develop Immortal Redneck in Unity. Yoy have the long version in here and the TL;DR with the most visual stuff in here. If you are interested in working with Unity in the future, maybe tyou find this interesting. If that's not the case, here's a photo of a very cute kitty and a really bad joke to entertain yourself. In any case, enjoy! 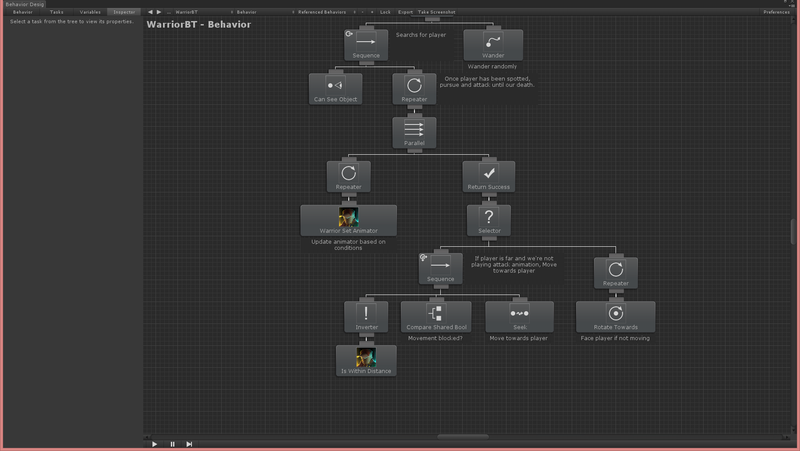 Behavior Designer was our choice when we needed a solution to develop Immortal Redneck's AI. It was compatible with other AI solutions, with state machines and with Behavior Tree. 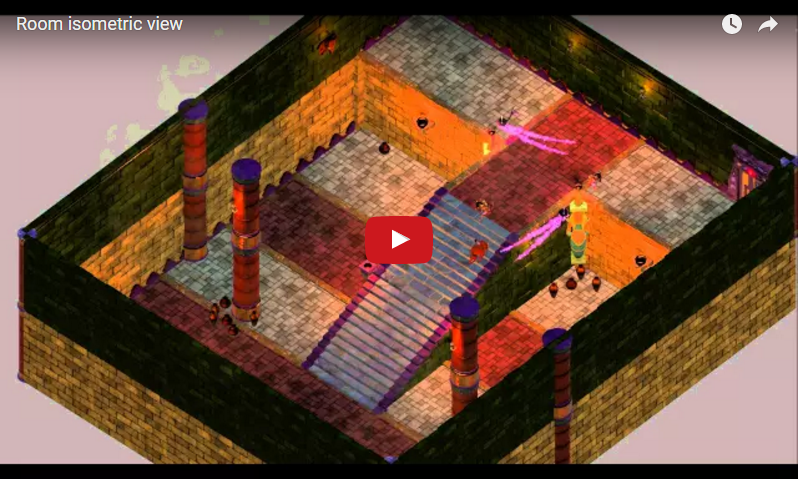 We wanted enemies to move around scenes in their own, different patterns. Unity's default navigation system didn't let us move a navmesh once it was generated into a scene, so we looked for alternatives and quickly found and fell in love with A* Pathfinding. This plugin let us create meshes a lot faster in execution time and integrated quite well with Behavior Designer, which was a great plus. We opted for InstantGoodDay to make our day and night cycle. It seemed like the best solution given our needs. We wanted to change every little detail of the animation so it looked original and unique, and InstantGoodDay allows you to change every hour of the cycle. It has lots of values, from fog to lighting and also colors and stars in the sky. We worked a lot with it and we integrated StylizeFog by our own. A huge effects library, with lots of post-processed stuff. 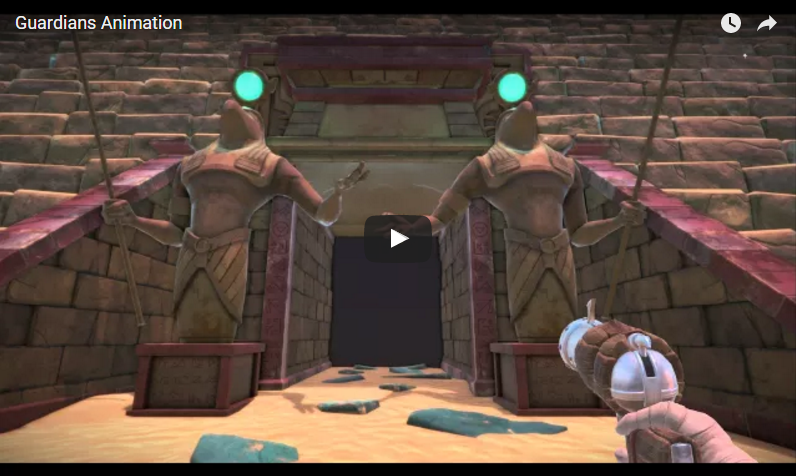 At this moment, we are only using it for the transition from the outer camera in the main menu to the inside of the sarcophagus. Obviously, we'll use it with more stuff, like rapidly changing the rooms interiors and their mood. We know DOTween from some time now. We started using it while developing OMG Zoo Rescue, and we loved it. This plugin let us code animations in a fast, easy way. 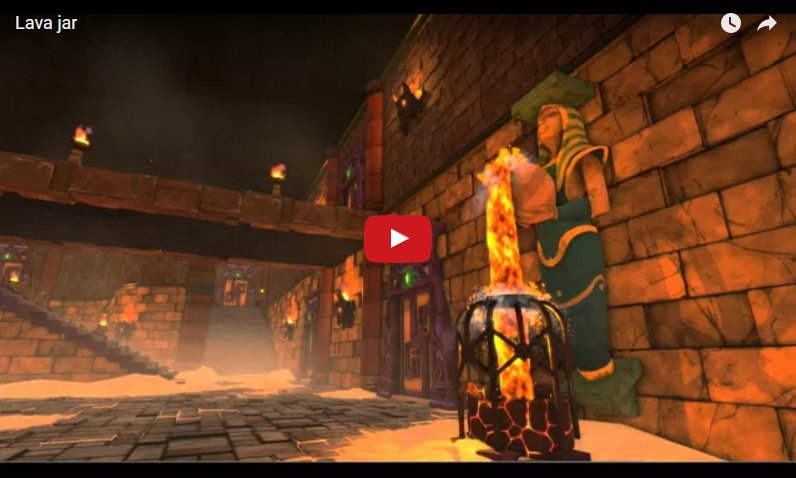 It's perfect for menus and UI, but also sprites and even models in 3D and cutscenes. Also, Mobsferatu's intro and ending were made with DOTween, so that's how much we love and trust it. Nested prefabs is one of the most requested features for Unity – that's why they are a part of the company's roadmap now. Initially, we chose Prefab Evolution for Immortal Redneck because it's the most used and supported. 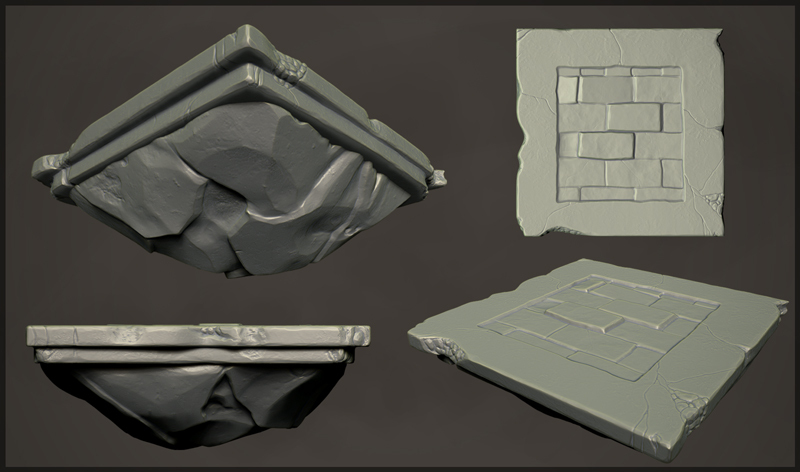 Thanks to this asset we could use nested prefabs and reuse particles in different objects. Sadly, we had some problems and we were not entirely happy with it. Compiling and testing were stealing us a lot of time, so if your game is not a little project, maybe you should make an unified system and made just for your needs. That's actually what we are doing now. Unity Input is one of the least advanced tools since the engine conception. With a big game like ours, we wanted a lot of flexibility with our control system and needed a lot of compatibility with PC peripherals. Thanks to Rewired, everything is made around actions and are mapped with each device. Also, since it doesn't have any native code, it would work in consoles if needed. 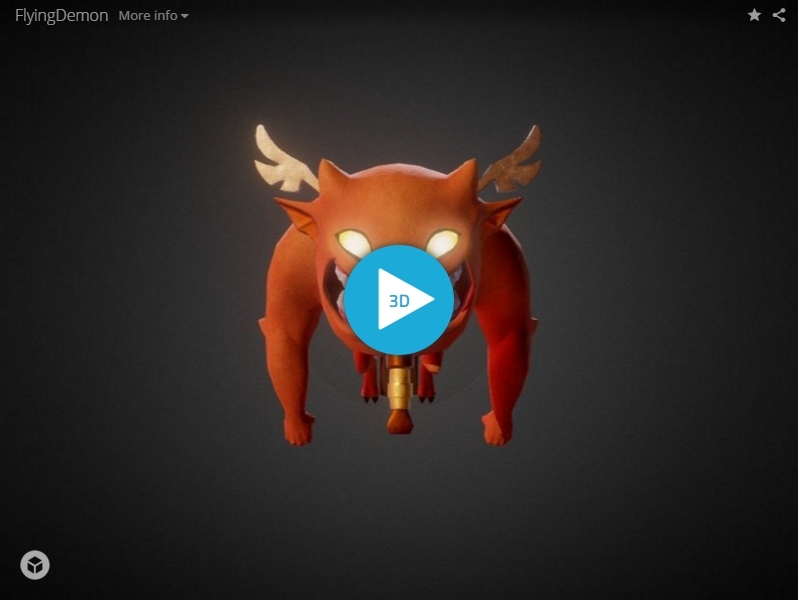 ShaderForge is one of the best assets we'd used and we can't stop suggesting you use it. 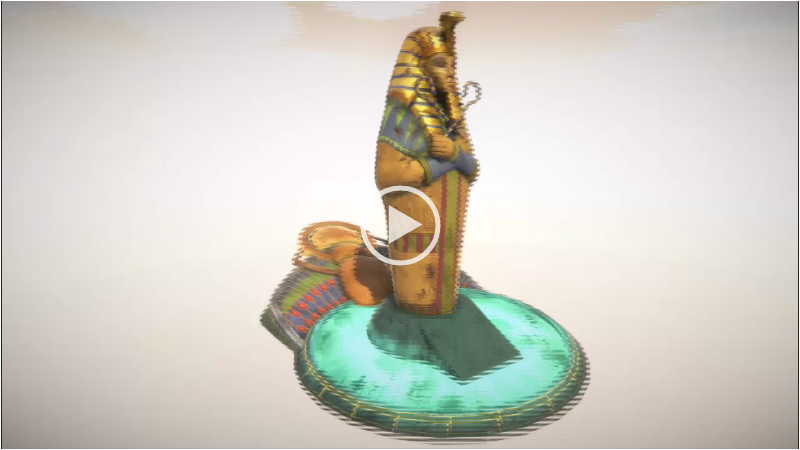 Working with shaders is our Achilles heel: we don't have a person specifically coding shaders. 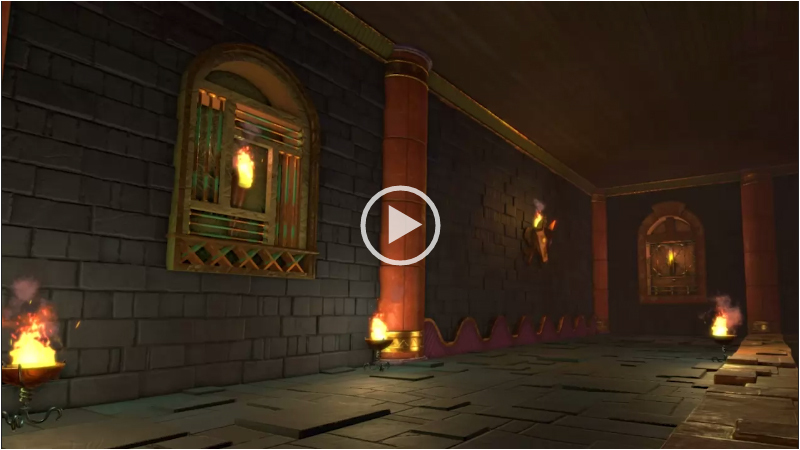 Thanks to ShaderForge, our artists started making shaders without programming knowledge and with really great results. 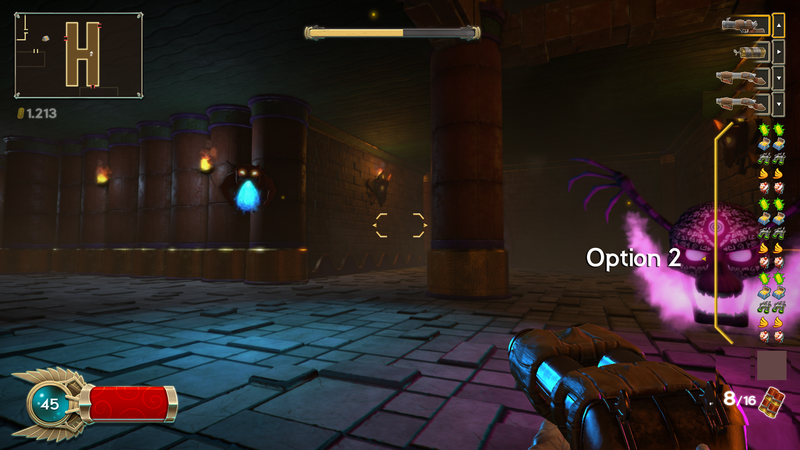 For example, this is one of the shaders we've built in Immortal Redneck. 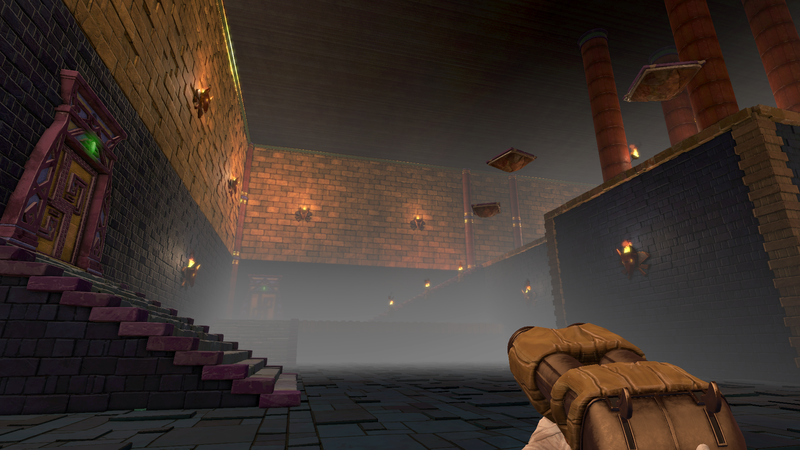 A fantastic asset so you can have, heh, stylized fog in your game. You can use gradient colors so it paints the fog with those tones, and you can even mix two colors. When you have InstantGoodDay too, you can build some cool scenes with fog, changing open areas and such. We're going to use it in Immortal Redneck indoors, too. That's how much we liked it. A Unity classic. We've been using it since our first game with the engine (Ridiculous Triathlon) and it's been with us since then. If you need to make nice texts in Unity, we don't know a better tool than TextMeshPro. This plugin allow us to use words independently of their resolution and/or size and you can apply various effects (like shadows, outlines, gradients, glowing) easily. See those damage numbers? TextMeshPro. 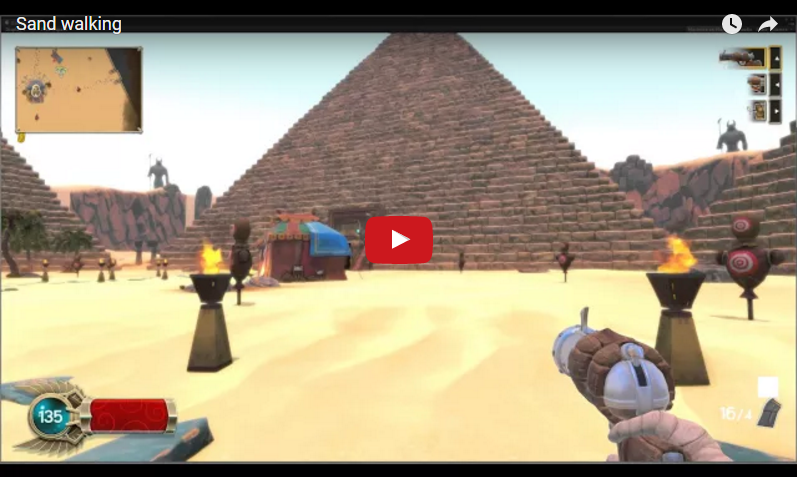 UFPS helped us with Immortal Redneck's engine fundamentals. We used it in the beginning so we had a solid foundation that we could modify as much as possible. At this moment, we have changed everything in UFPS so it adapts to our most specific needs. We kept the procedural animations and event system, but excluding these, there's little stuff left. It's the best starting point if you are willing to build lots of stuff on it. And that's it! What tools do you usually use? Should we try an alternative to ours? When developing a game, sometimes it's hard to display the new content you have in your hands. It’s not about keeping something secret for the sake of it, it’s just that it’s not really finished. But instead of keeping our mouths shut for this week until we have something, we are showing you some stuff we have half done, haha. 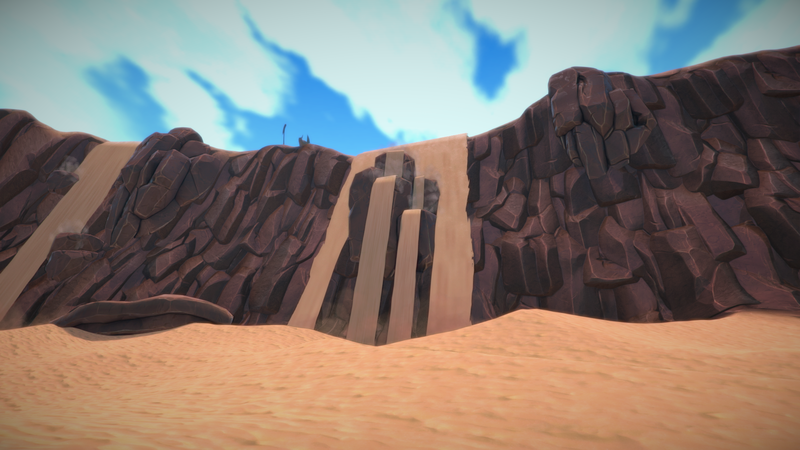 We are also adding some postprocessing to the sand, so it looks better when you move around. 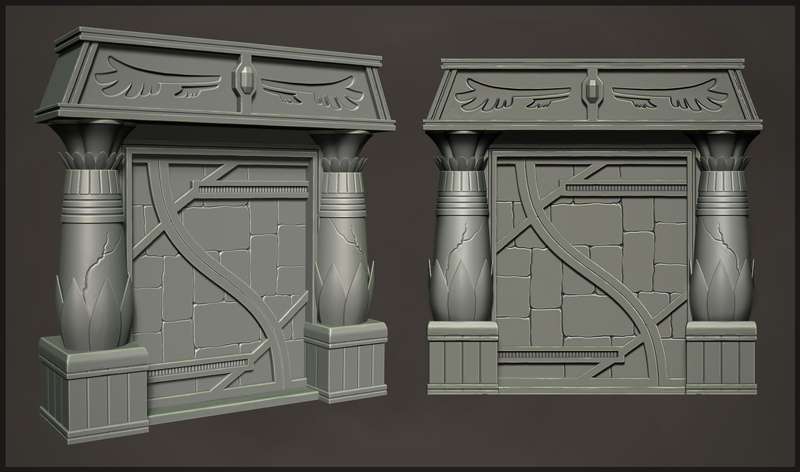 There's more complex room decorations on the way. 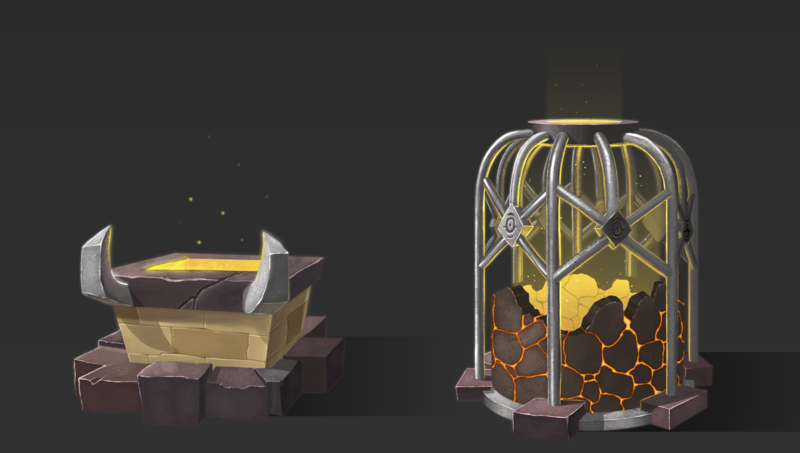 For example, a room with lava statues! 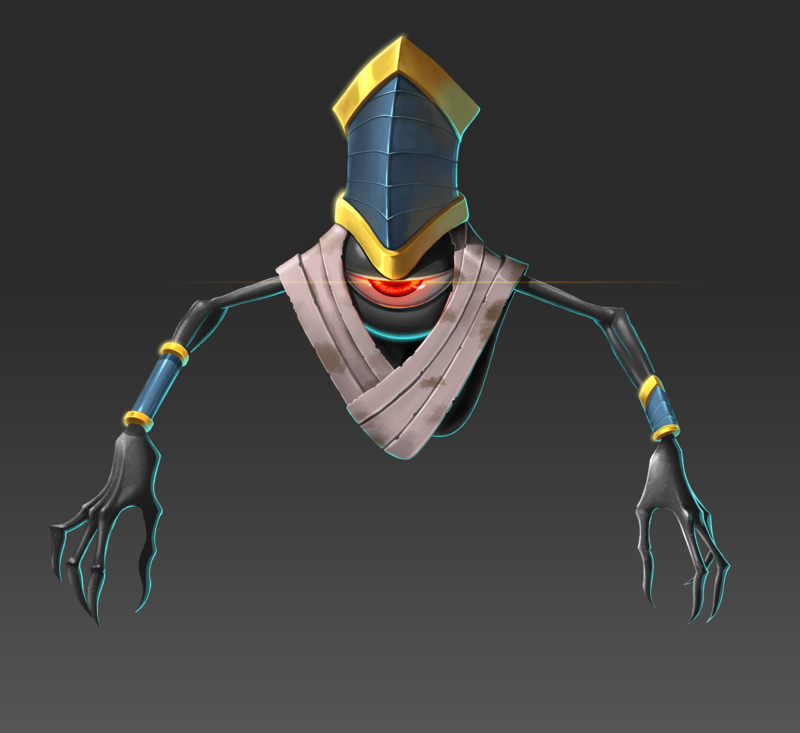 We’re always making new enemies for Immortal Redneck. They are a huge part of its gameplay, of course, but also of its appeal. You can’t make people like a game about shooting monsters without cool creatures moving around and doing stuff. Here’s some new enemies’ concept we are putting into the game. We’ll show more about them in the near future, when we have them totally finished! And no, no name for them yet. Enemies are important, but weapons too! We’ve shown you the Redneck set. At this moment, we are working on a new set. It’s the Seth set and no, there’s no pun intended: Seth is an Ancient Egypt deity. We’ll explain everything about them in a future devlog! 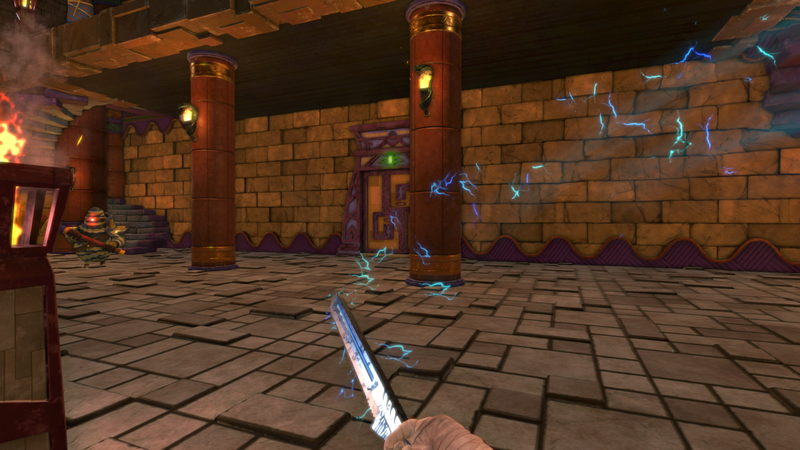 Also, we are looking for the perfect particle and distortion effect for the sword. Oh, yes, we have menus! After all, this is a game! Games have menus and words and even some sentences! Oh! This is the scroll pickup! And this is what you see when you die. 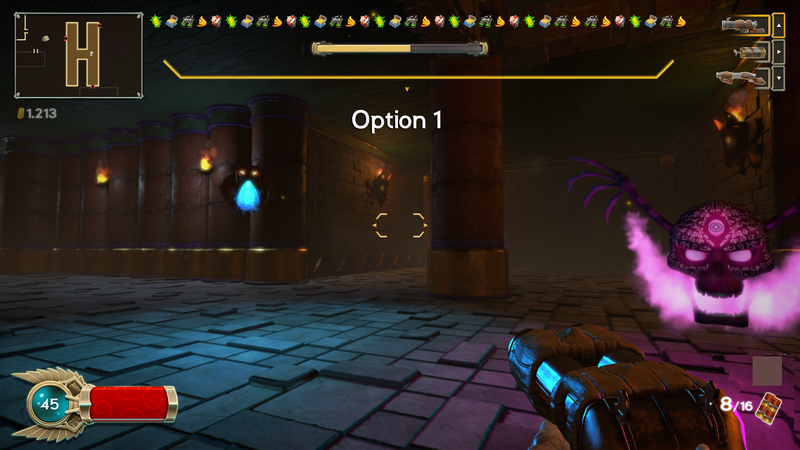 We also have kind of finished the game’s HUD, as you can assume by that screen. And that’s all for now. We don’t want to ruin the surprises of future devlogs, so we are holding some of the stuff we have. You’ll have to wait a little more until I can write thoroughly about all this stuff. No reason to worry: we’ll be back next week with something new to show. There’s plenty things we want to put into our game and we are always improving our approach to new creatures, weapons and the scenery, so we want your feedback. Please, reach us on Twitterand Facebook and tell us what you think about Immortal Redneck and how you think we can make it (even) better! Last week, I showed you some new art and concepts that will be into the game in a near future as enemies, new structures and more. This week, I thought this time it would be a good idea to please our glorious 3D artists. We working on more details for each room in the game. Making all of them kind of unique is not easy, but we’ve got tons of different items to place. Here's a platform and a new door we have to texturize yet. 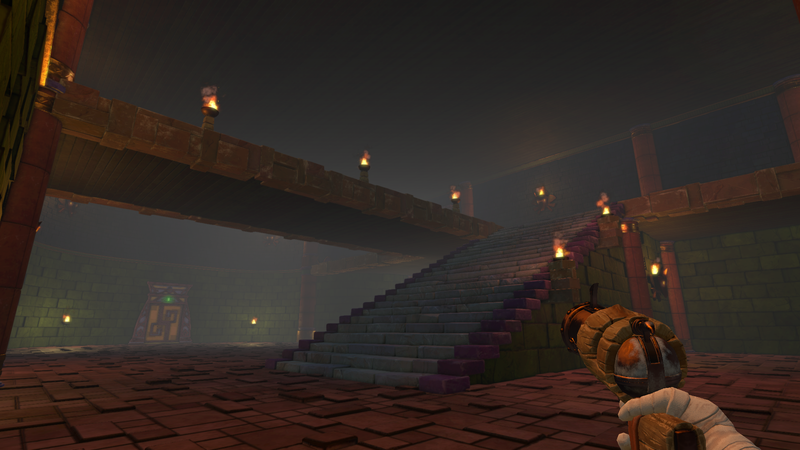 We are making each room more complex and make them have more light sources. 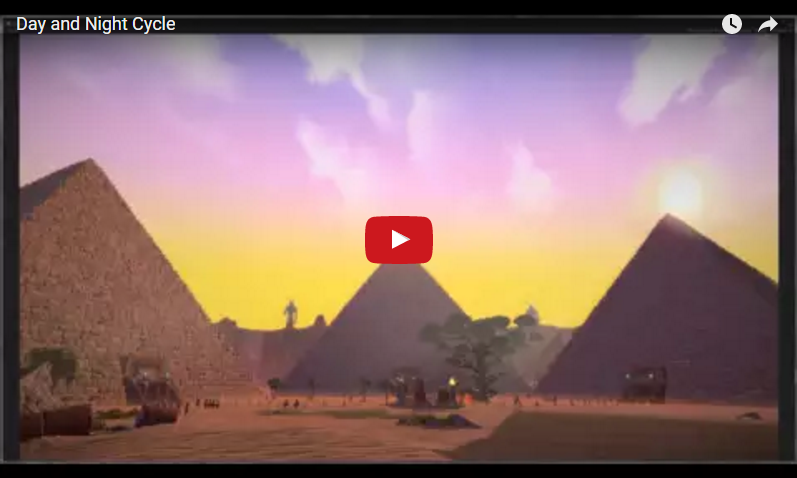 Also, we made this fancy animation with everything that there's in the game's outdoors. And this is a look at the finished sarcophagus, the center piece of the outdoors and the place where your soul is born again after you die. New models look fantastic as usual! Man, this looks so good! I love the art style. 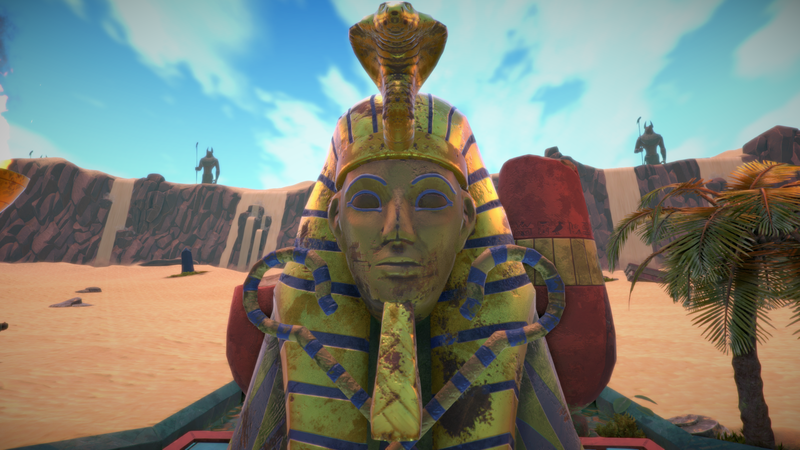 The concept is really creative, and what you've done with the visuals is already amazing - I'm still in love with the sand shader, it has so many potentials. It is also nice to see that you dare to play with lights, it really adds a lot to the overall atmosphere. I'm just a little afraid of your choice about room randomization - that the room's are predesigned, and the layout is random -, but I don't want to talk about it more, as you are still in alpha stage. Keep it up, waiting for the next update! The amount of effort you put into this ridiculously titled game is astonishing. And that Sand-tech is amazing! You should talk about it more! That's exactly what we wanted when we decided to open the development and talk about the wips in the game. Why are you afraid? Are you afraid that the rooms are predesigned? Or are you afraid that the layout is randomized?